WHILE Dying with Dignity supporters have met as a united front in Bundaberg ahead of the parliamentary inquiry into aged care and end of life, Bundaberg MPs are keeping their cards close to their chests. Member for Burnett Stephen Bennett yesterday said the committee would be asking the Queensland community and health practitioners' views on the desirability of supporting voluntary assisted dying, including provisions for it being legislated in Queensland. "The Committee is calling for submissions now, and will report back to Parliament on November 30, 2019." "I'd encourage everyone with strong views on end of life care to make a submission so their voice can be heard." Mr Bennett said he had personally engaged "extensively" with local Dying with Dignity group members and had even helped them with research through the Parliamentary Library. "There is no question this is an issue that strongly divides people in the electorate and I regularly meet with people who both support and oppose voluntary suicide," he said. "I acknowledge that the experience of watching a loved-one struggle and succumb to a terminal illness is confronting and heart wrenching. "In government we were committed to quality end-of-life care and planning for all Queenslanders, including ensuring unnecessary and unwanted medical treatment is not provided. "However, the LNP believes that Labor's priority should be on ensuring the highest standards of palliative care and end of life health conversations." State Member for Bundaberg David Batt said matters regarding the creation or ending of life had historically been dealt with as matters of conscience. Mr Batt said his vote would be based on the extensive detail of the bill, the contents of public submissions and the view of his constituents. 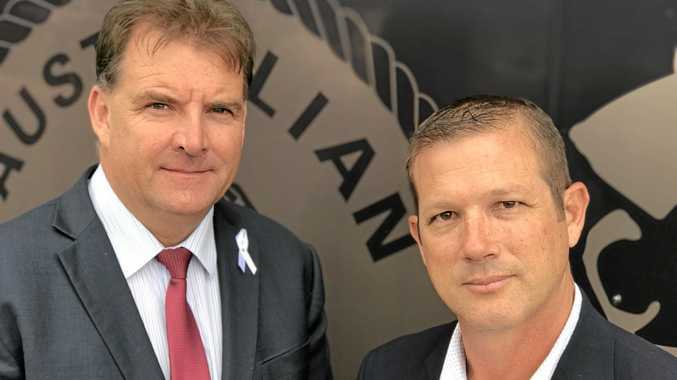 "Once the inquiry is complete, I would encourage all members of the Bundaberg community to contact me in order to share their thoughts," he said.